A Paywall for the Times? inside the paper, the choice for some time has been between a Wall Street Journal-type pay wall and the metered system adopted by the Financial Times, in which readers can sample a certain number of free articles before being asked to subscribe. The Times seems to have settled on the metered system. From a reading point of view, this is not a big deal to me. If I need to subscribe to the Times, I’ll subscribe to the Times. But from a blogging point of view, it’s a problem. An important part of the great Blogosphere Circle of Life™ is the ability for readers to click on links, both to get the full story for its own sake and to make sure bloggers are playing fair with their excerpts and commentary. If the Times cuts this off, it’s a big hit. So it’s semi-good news that they’re planning to adopt the FT model, where casual readers can access a dozen or so articles per month without subscribing. At least that’s something. Alternatively, if they go with the WSJ model, I hope they provide some mechanism to provide short-term access for nonsubscribers. The Journal does this via email links, which provide public access to linked articles but expire after a week. And of course, the big question: will it work? 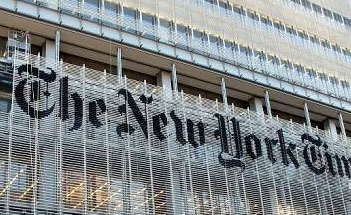 Will the Times gain more subscription revenue than they’ll lose in advertising revenue? I doubt it, though that depends a lot on whether the recent collapse in online advertising revenue is just a temporary result of the recession or a reflection of long-term trends. And the second biggest question: will other newspapers follow their lead, thus bringing to an end the great era of endless free news on the internet? Or is the Times one of the few who can even arguably pull this off? Wait and see.